He raked in $60 million this year. 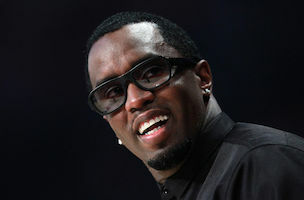 Sean “Diddy” Combs is hip-hop’s highest paid star. According to Forbes, Diddy made $60 million over the past year, proving that if you own businesses that produce average vodka (Ciroc) and regular water (Aquahydrate) ridiculously labeled as “performance water,” you don’t need to do much rapping at all. Jay Z was the runner-up on Forbes’ list, raking in $56 million. Drake ($39.5 million), Dr. Dre ($33 million) and Pharrell ($32 million) round out the top five. Nicki Minaj was the only female rapper to make the top 10. Minaj made $21 million over the past 12 months.